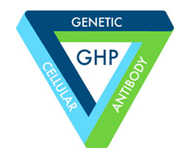 The Gut Health Profile (GHP) is the most comprehensive Celiac & Gluten Sensitivity screening tool available as it combines genetic, antibody and cellular testing into one convenient test. This blood test looks for two specific immune system markers associated with Celiac disease. Tissue Transglutaminase Antibody (tTG) - IgA & IgG is an immune system response to Celiac disease that involves the production of antibodies directed against an enzyme normally present in the intestines called tissue transglutaminase (tTG). In Celiac disease; the body produces two types of antibodies that attack tTG: immunoglobulin A (IgA) and immunoglobulin G (IgG). Deamidated Gliadin Peptide (DGP) Antibody - IgA & IgG are 2 antibodies produced by the immune system that are useful in detecting Celiac disease. In the last decade there is a deeper understanding of the relationship to the stress of immune system in the small intestine and damage to it's protective mucosal barrier as it related CD and the increase in deamidated gliadin peptides. You can learn more about your body's immune system and food allergies by clicking here. Parent? What every parent must know about immune system barriers. Strong evidence shows that in order to develop Celiac disease, a person must have one or both of two genetics known as HLA-DQ2 and HLA-DQ8. More than 95% of patients with celiac disease have at least one of the two genetics. Most patients (more than 90%) carry the DQ2 genetic. Learn more about “Genetics Loads the Gun” Theory and new evidence on the cause of IBD.